Let us guide you and your group through our natur, Lappish, Sami culture and historical places in our mountain area. What about a visit to the old Lappish, Sami meeting place Fatmomakke with about 80 Lappish, Sami houses by the shore of the lake Kultsjön? Places you also will remember after a visit in the mountainarea is the powerful waterfall Trappstegsforsen and the high mountain area Stekkenjokk. 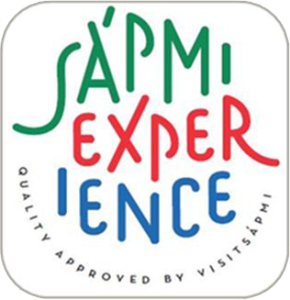 Contact us for helping you to plan your visit to Vilhelmina so you will be able to experience the Lappish, Sami culture and Vilhelminas interesting history. We will guide you to places worth a visit in our beautifully district. We also offer you to visit our home Risfjellsgården, a round barn at the shore of lake Malgomaj. There we offer catering service (tea, coffe, food )whilw you stay and enjoy our culture experience. A visit in our home is for groups at least 10 persons and it has to be booked before so we can plan and prepare your visit. 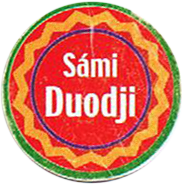 Sami handicrafts, weaving, paintings, yoiking, museums and guided tours. Sven­åke and doris Risfjell tell people all about the Sami culture in lots of different ways. their base is their shop and gallery Risfjells Sameslöjd in Vilhelmina, which is visited every year by people from all over the world “We’re driven by a strong passion,” explains Doris Risfjell. The first thing visitors encounter at Risfjells Sameslöjd is a Sami knife 2.5 metres tall, probably the largest in the world. “Yep, that usually makes an impression!” laughs Sven-Åke, who’s been a full time crafts man for more than 30 years. There are plenty of Sven-Åke’s wares in the shop, which both manages and develops the South Sami tradition, and doris’ weaving, leather work and pictures. Visitors can also buy sou- venirs and reindeer leather, and in the museum / gallery they can see Sami tools such as an ackja (Sami sledge), bow and drum. But the Risfjells also do a fair amount outside the shop as well. They also work at their unique home; a hexagonal corn barn in Malgonäs, 20 km outside Vilhelmina. The couple also do guided tours of the cultural landscape of Vilhelmina, and they often go out touring – both in Sweden and abroad – and lecture on the Lappish way of life. “There’s a lot of ignorance in Sweden of the part the Lapps have played in the history of Norrland, but a lot of people are really interested in finding out more and that goes for people internationally as well,” says Doris. Doris and Sven-Åke are often invited to various events to talk about the Sami culture. They’ve visited France, the Faroes and Iceland, for in- stance. We’re ambassadors for our own Sami culture at such events,” says Sven-Åke. There’s also a distinctly international feel to visits to the shop, too, and the orders that the risfjells receive for their works. Where do you like to visit during the summer in Lappland?